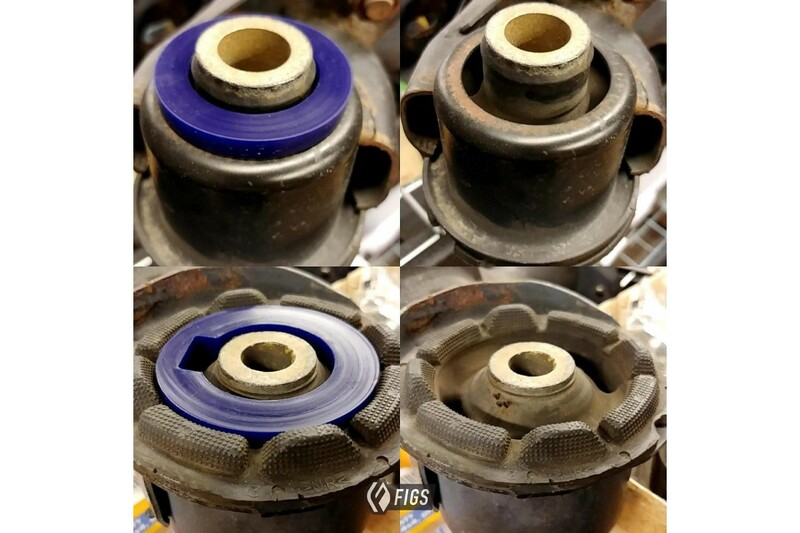 These bushings are supplemental bushings, meaning they surround and support the existing OEM subframe bushings, as performance complete replacement bushings are not yet available. These bushings are for the front and rear mounting locations of the rear subframe on the 2nd Gen GS, SC430, and IS300. 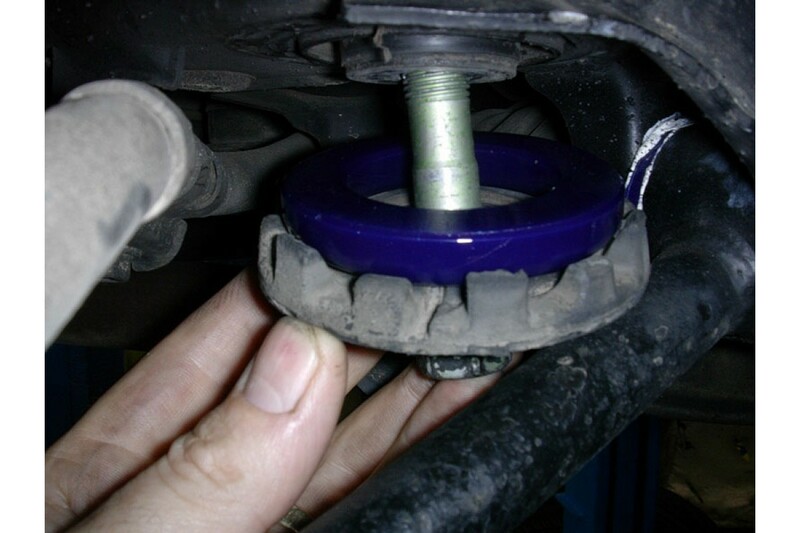 The factory bonded rubber washer is NOT reused on the rear upper mounts. The subframe must be unbolted, supported, and lowered slightly for installation. These bushings replace the rubber pinion mount for the rear Set includes 2-Bushing sets ..
Add some positive feedback to your steering with this complete cast poly bushing set. Replac.. These bushings replace the rear subframe on the Gen1 GS300, SC300/400 and the Supra and JZX100 Ch.. 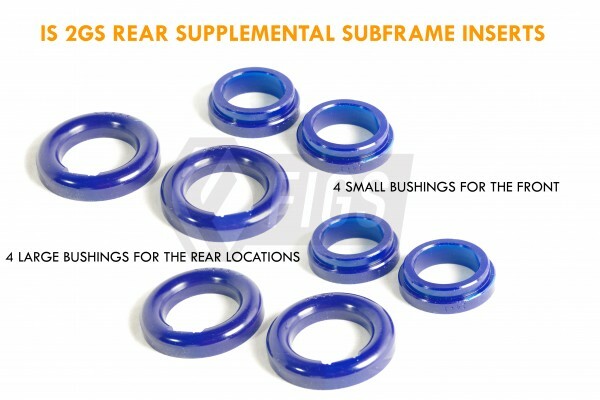 These bushings are supplemental bushings, meaning they surround existing OEM crossmember/subframe b.. These bushings replace the staked rubber bushings on the knuckle-side mount of the rear traction l.. These bushings for the rear shock mounts on the JZA80 Supra, SC300/400 and Gen1 GS300. Press.. These bushings replace the staked rubber bushings on the inside mount of the rear lower control a..